Residents of Eilat report feeling the earth shake at 4:30 in the morning. No injuries or damages. 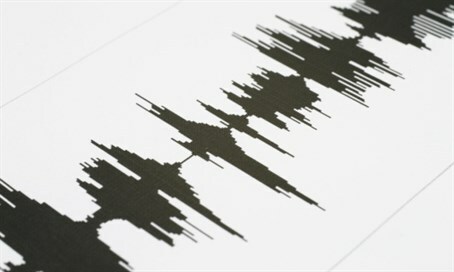 An earthquake measuring 4.8 on the Richter scale was felt early Monday morning in the Eilat area. Local residents said they felt the earthquake at around 4:30 a.m. Israel time. There were no reports of injuries or damage. The Geophysical Institute said that the earthquake was centered in the Sinai Peninsula, about 70 kilometers south of Eilat. Last month, a minor earthquake was felt in the Dead Sea and in the city of Arad. Last summer, an earthquake was felt throughout Israel, including Tel Aviv, Ramat Gan, Rehovot, Nahariya, Akko, Afula, Be’er Sheva, Arad and Eilat. The epicenter of that earthquake was four kilometers southeast of Nuweiba in the Sinai Peninsula. Following that earthquake, flights at Ben Gurion Airport were halted for about ten minutes.